Let the strawberries drain after washing. Dry gently, hull and cut lengthwise into two or three sections. Set aside in a medium sized bowl and sprinkle with the 1 tablespoon of superfine sugar. There should be about 2-3 cups of berries (give or take). Place the brown sugar, the balsamic, the lemon juice and the cayenne into a sauce pan. Bring to a boil over medium heat and simmer until it reaches a very syrupy consistency, about 5 minutes. 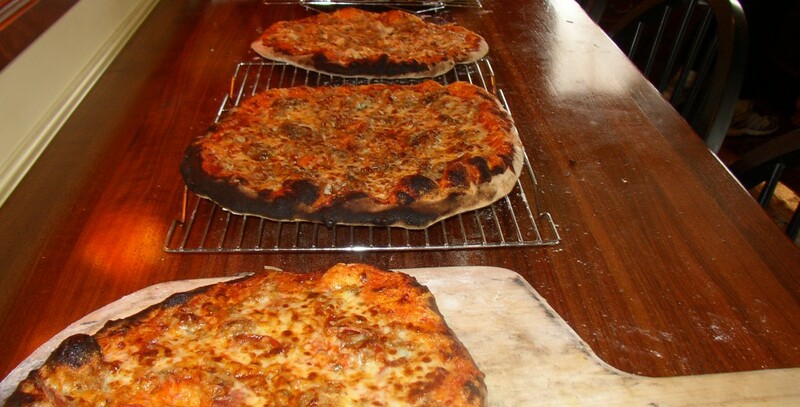 Remove from heat and let cool slightly, 1-2 minutes. Pour over berries scraping the syrup off of the pan with a rubber spatula. Stir the berries gently to distribute syrup, add the pinch of salt, stir and place in the refrigerator to chill. While the strawberries chill, place the softened mascarpone cheese in the bowl of an electric mixer and beat until smooth. Add the sugar, and beat for 1-2 more minutes. Add the cream and the vanilla and beat until still peaks form. Do not over beat. Divide the cream amongst 4 martini glasses. 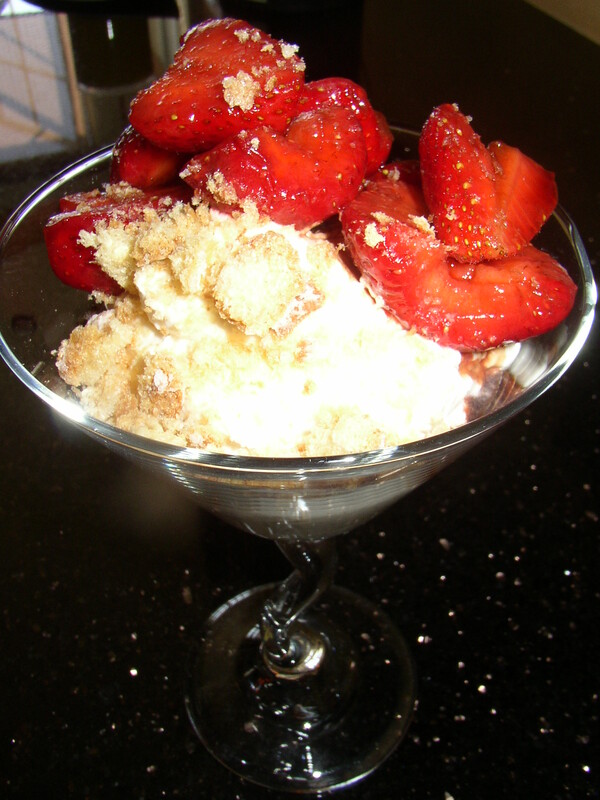 Place the strawberries on top of each cream filled glass, and sprinkle with the crushed amaretti cookies. Finally, divide the syrup amongst the four glasses by pouring it over the strawberries and around the rim of the cream. Serves 4. TIP: Ensure that the mascarpone is softened so as to avoid lumps when mixed with the cream. Leave it out for a few hours on the counter to soften. TIP: Amaretti and mascarpone are available at almost any grocery store with a gourmet section. However, they are always available at your local Italian market. TIP: The cayenne pepper imparts a warm feeling after you’ve eaten the berry and the pinch of salt helps to intensify that berry flavor. Although it seems counter intuitive, the salt is necessary but only a pinch. TIP: I love cold berries, but be aware that the longer the berries sit in the refrigerator, the more juice will form. Try to assemble as close to serving to avoid this. If there is an overabundance of syrup in the bottom of the pan, use your judgment and just spoon one tablespoon or so of juice over the cream filled glasses.